An age-old question, does Horlicks help you sleep at night? Will the sweet delicious beverage before bed have you nodding off peacefully or tossing and turning frustrated at its inability to work. Well, I think that it can help you sleep but not necessarily that it will help you sleep. Horlicks, when made properly (instant isn’t the same), is mostly milk with flavourings and I’ve already shown why milk can help you sleep and unsurprisingly it’s a lot of the same reason. You get all those nice endorphins and a smile creeps across your face. And being that relaxed is the prime time to fall asleep. 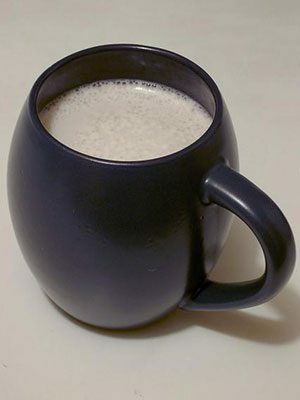 Plus the milk in it has nice childhood memories for a lot of people, having a glass of milk and heading to bed, I personally had hot milk and honey then headed off to sleep, a similar experience of a sweet milky drink. These memories and routines then get woken up again inside of us when we have a hot Horlicks before bed, your body remembers that after it has this it’s time to go to sleep. And it’s mainly these reasons that help you sleep rather than the drink itself, though that could potentially help. Did you know you can buy Horlicks in Bulk on Amazon? Click here to check it out. Horlicks is packed full of vitamins and minerals, doubly so from the milk you make it with. Now, these vitamins are all very good for you but none are particularly effective in helping you sleep. What might help you sleep is the protein. Horlicks has about 9.5g of protein when made with milk which is no small amount. And it’s the perfect amount to see you through the night so that your body doesn’t wake you up feeling hungry. Our bodies are fickle and can sometimes get grumpy more or less 8 hours after we’ve eaten so if you eat at 7 pm and don’t have anything else before bed your body might wake you up at 3 am looking for food again. If you get a little protein boost from Horlicks that won’t happen. I’d say so, there’s enough to suggest it could help you sleep and you can get Horlicks fairly cheap. Plus it’s an enjoyable drink even if it doesn’t help you sleep so you’re as well trying. But If you’re not a fan you can also try out Hot chocolate before bed.